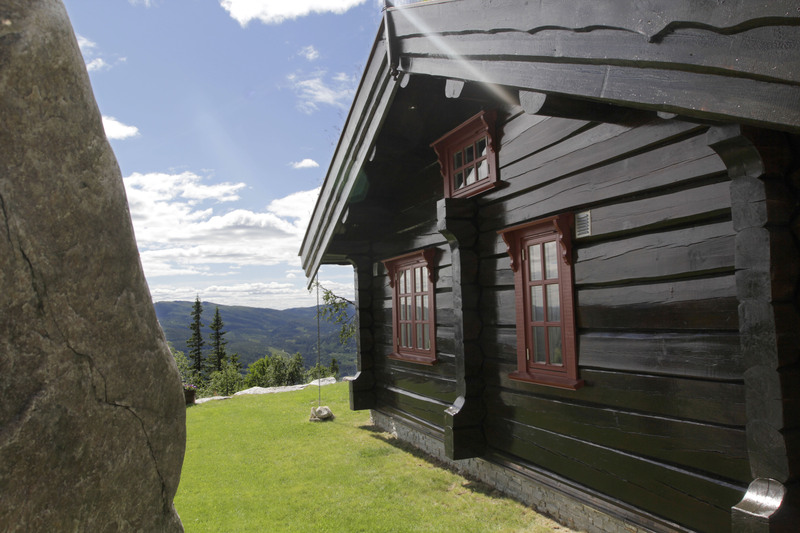 Norwegian building traditions, shaped over thousands of years, are followed in log house construction. 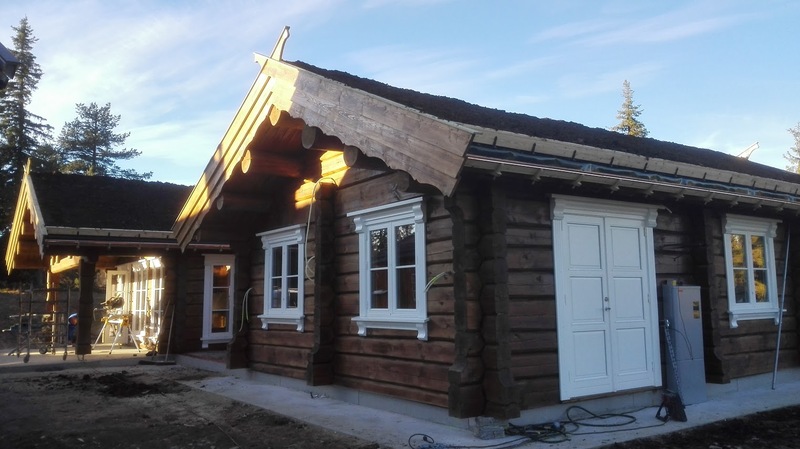 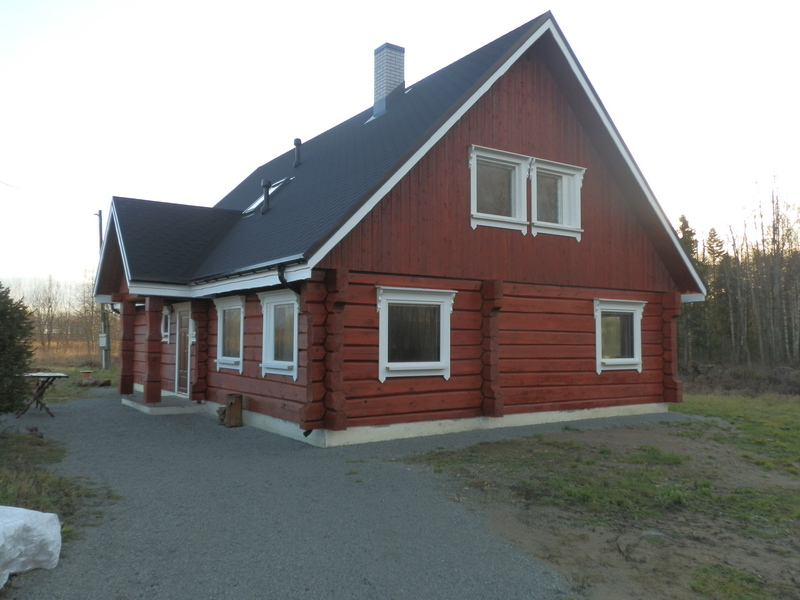 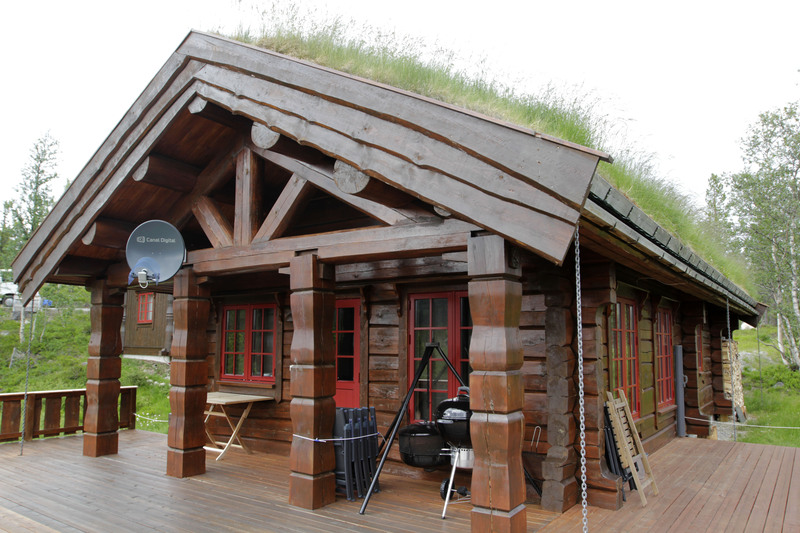 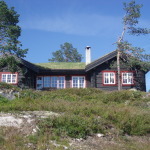 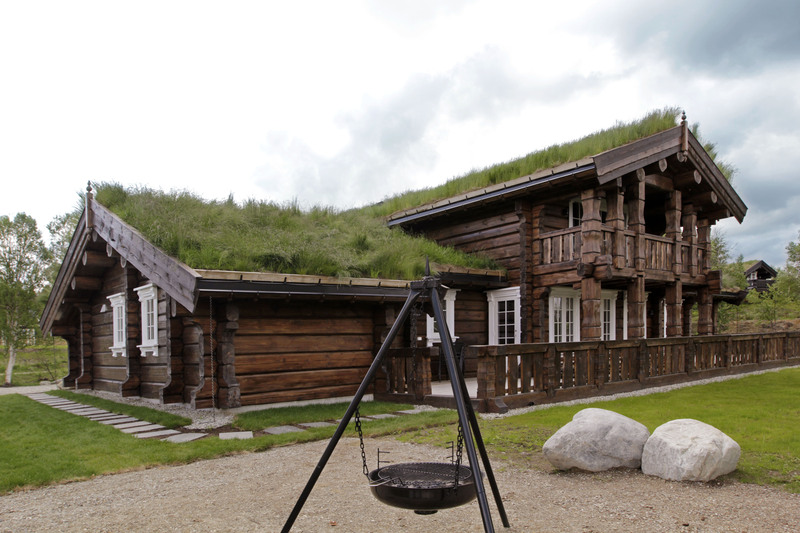 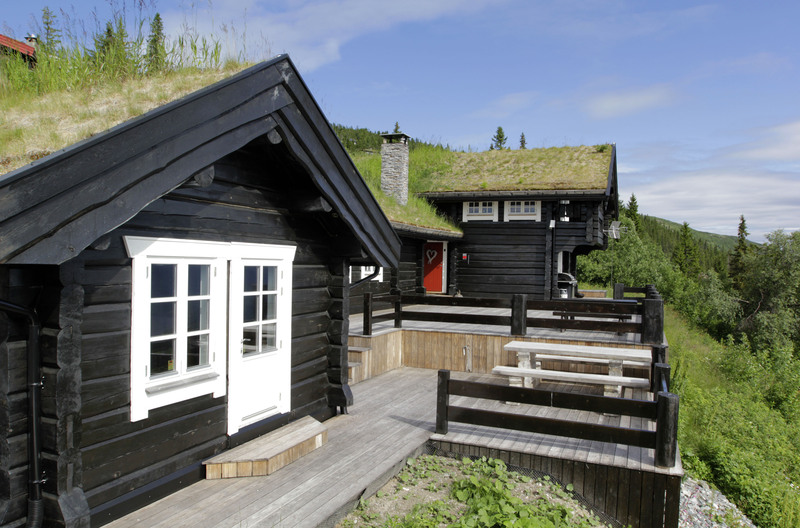 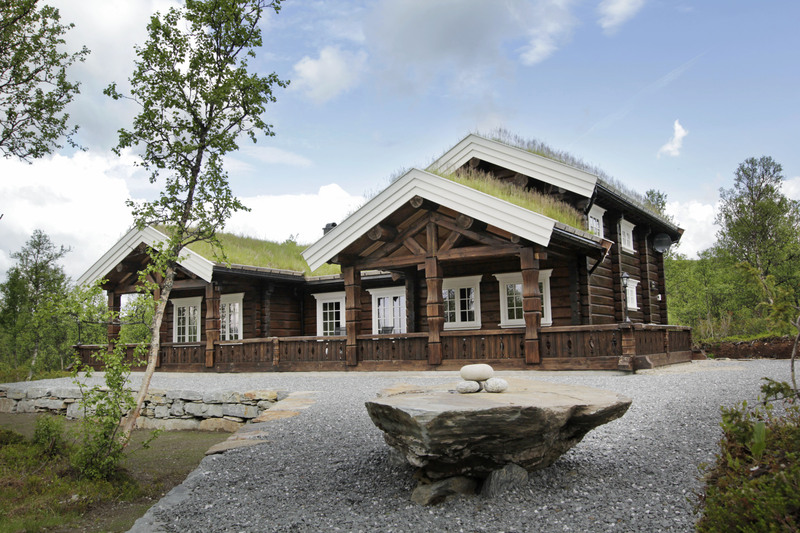 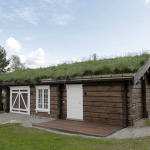 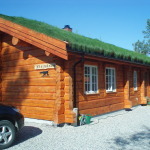 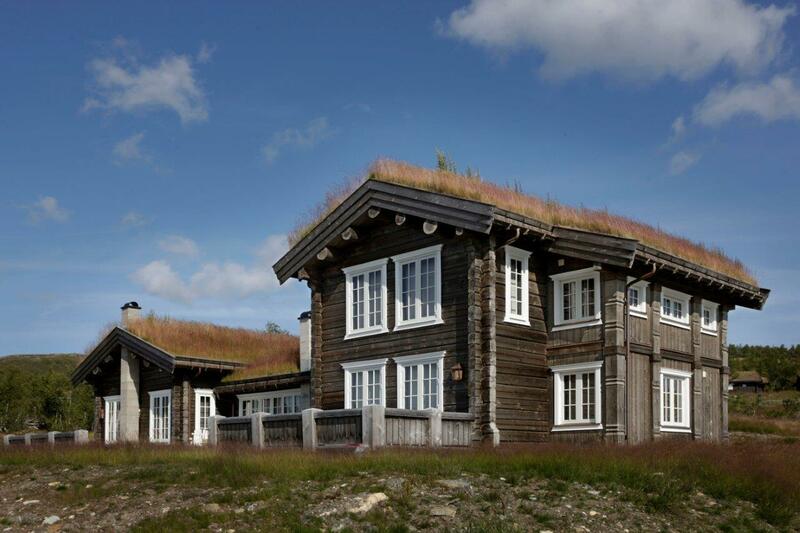 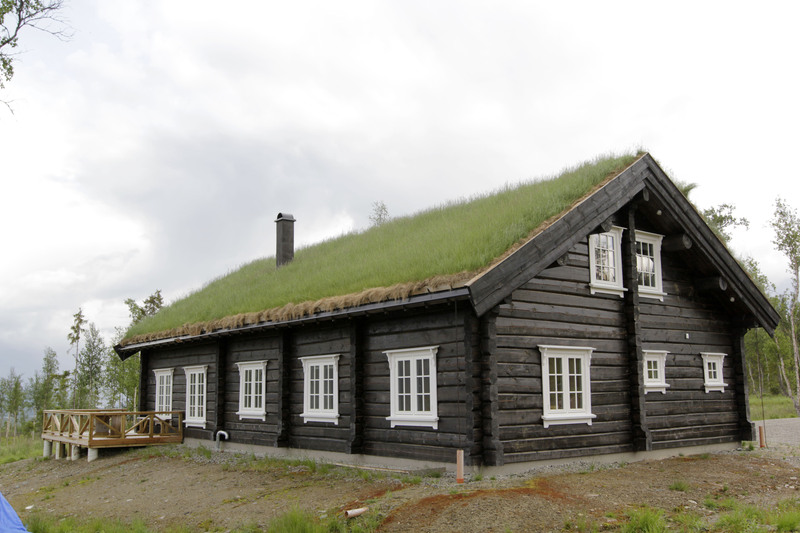 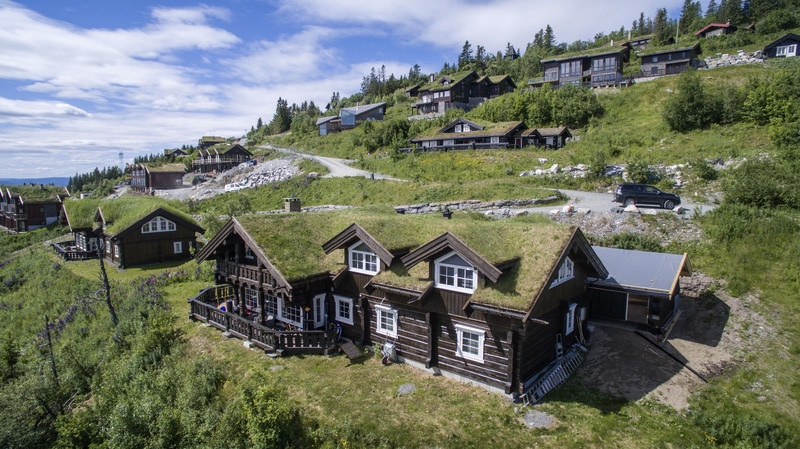 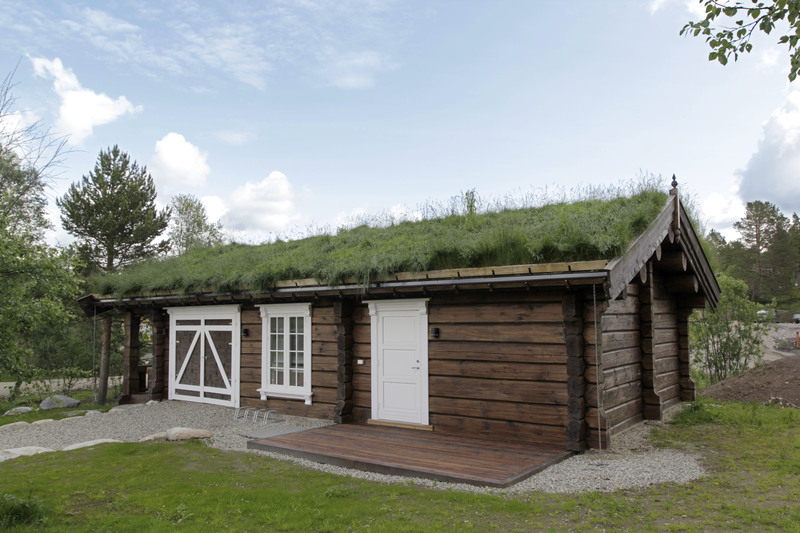 EstNor manufactures handmade log houses with hewed edges, using pine. 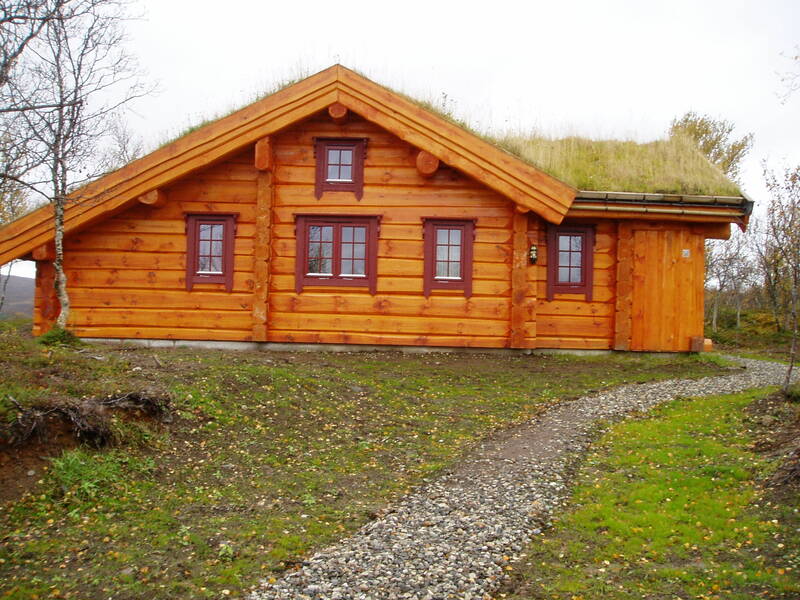 Sides are cut off from the round log, after which the remaining wall thickness is 200mm. 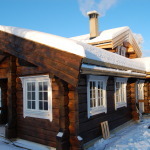 The material of the log house is chamber-dry, containing 18–20% moisture. 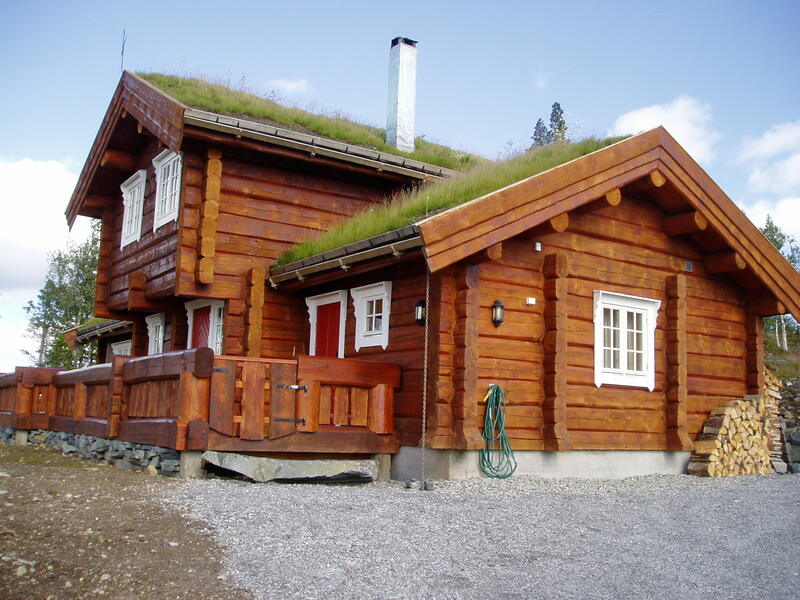 The log has been handcraft planed and polished, if necessary. 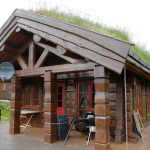 Depending on the statutory plan, log false ceiling joists, roof purlins (round log, on to which the rafter is laid upon) and figured stand posts are used. 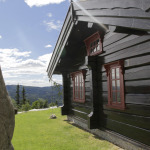 For edge bonding EstNor uses a Norwegian wind-lock tenon, which is considered to be the most complicated one, but also the most windproof tenon.During the construction, logs are connected with inner sticks; linen felt is used for insulation between the logs and self- dilating packing in the tenons. 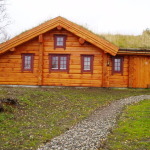 Handcraft log house is very creational and requires a steady hand and sharp eye. 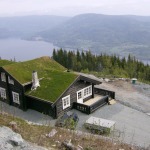 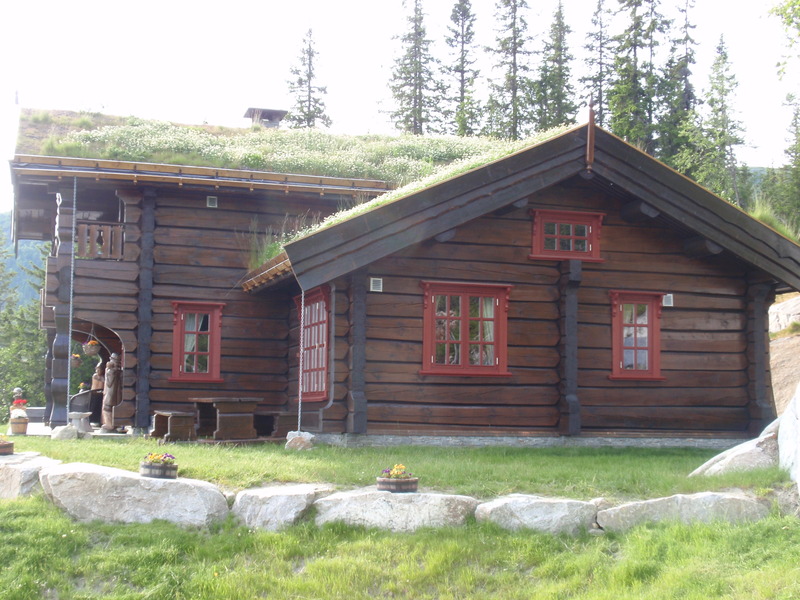 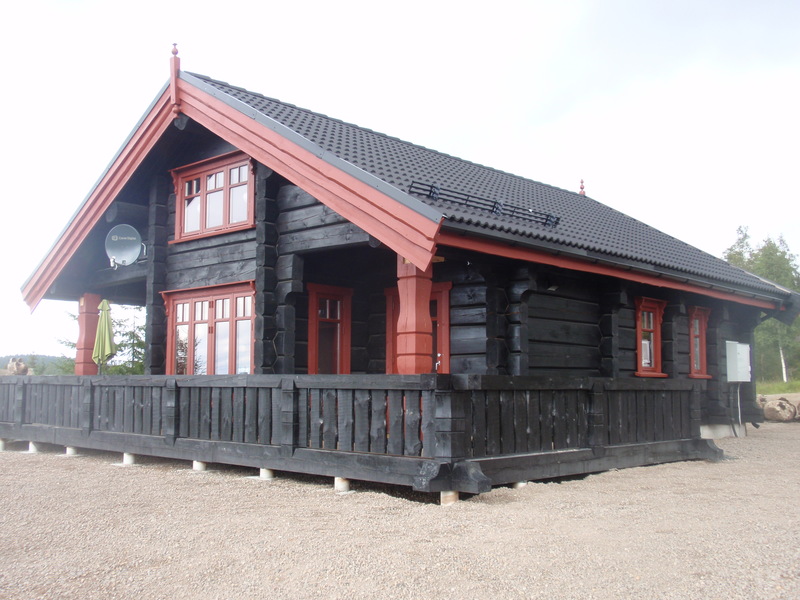 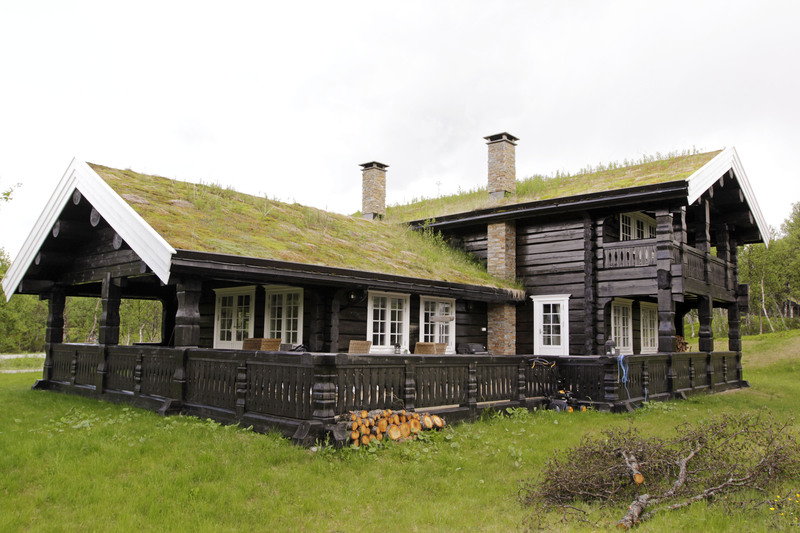 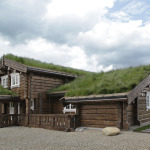 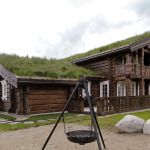 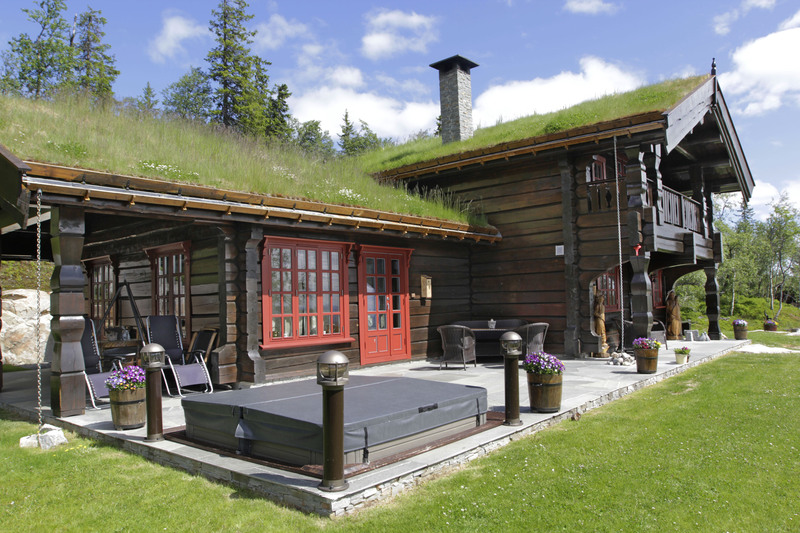 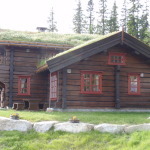 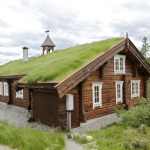 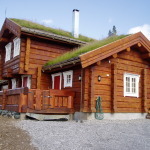 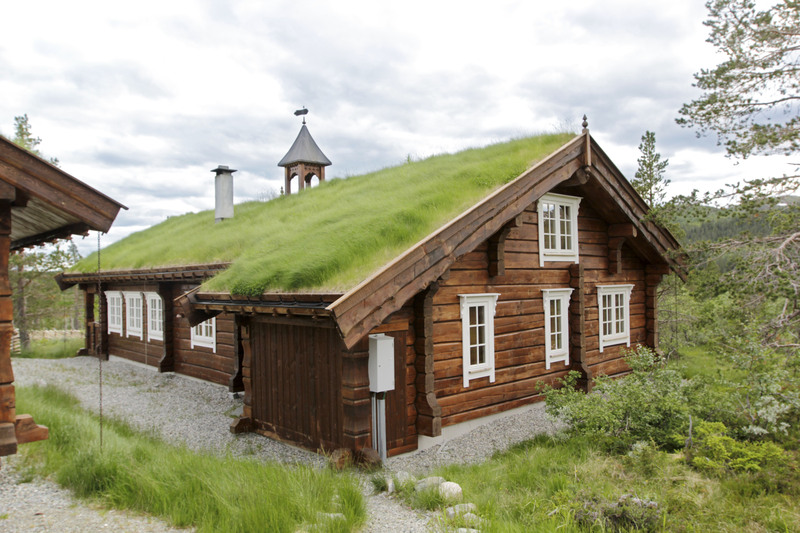 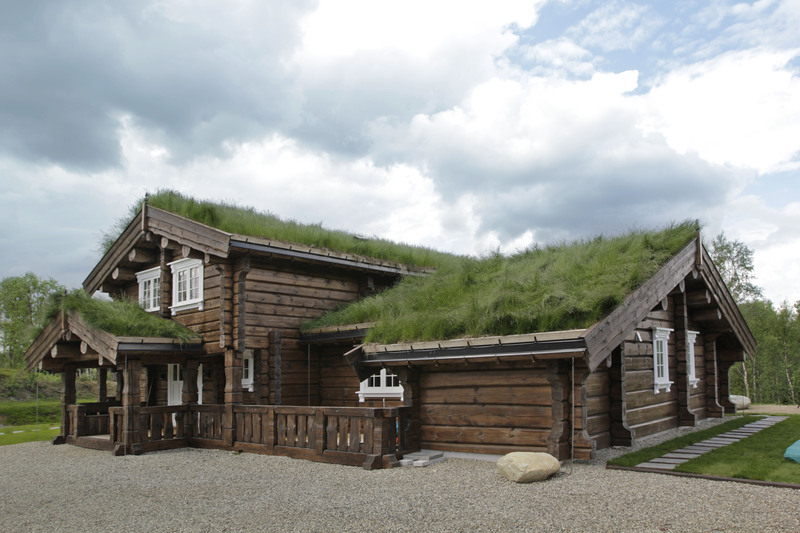 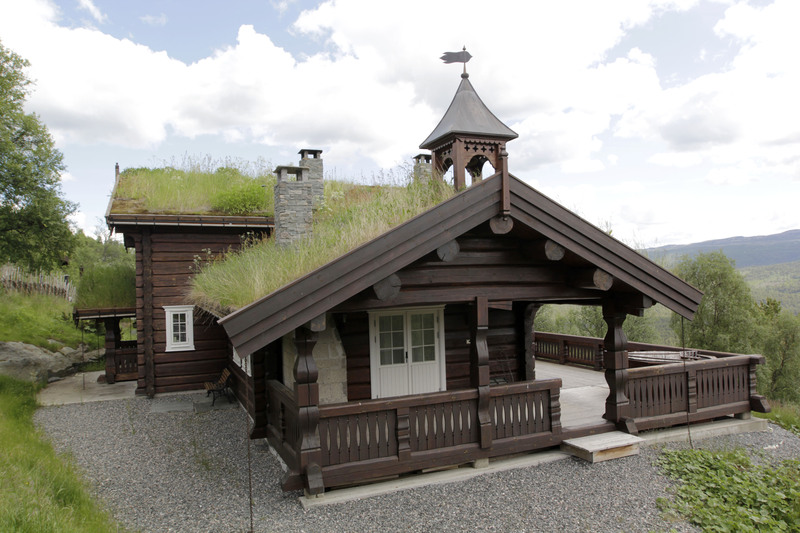 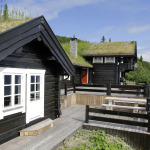 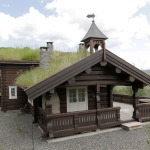 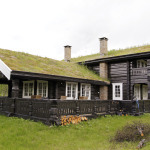 EstNor has selected out the best log house specialists over the years. 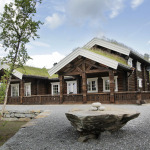 They have been trained by Norwegian log house teachers. 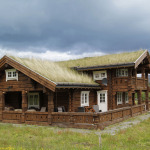 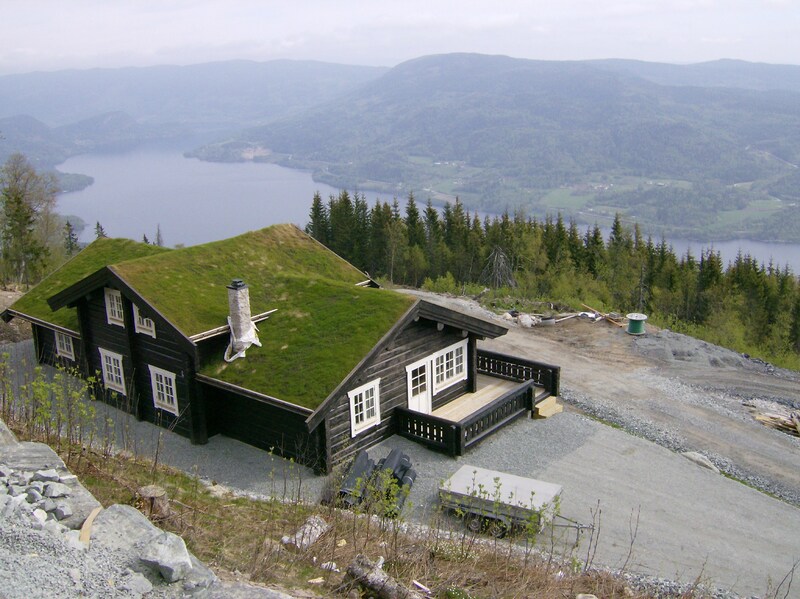 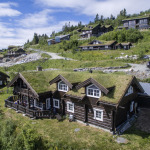 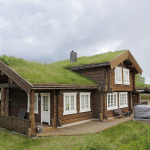 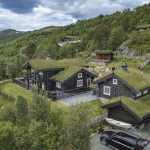 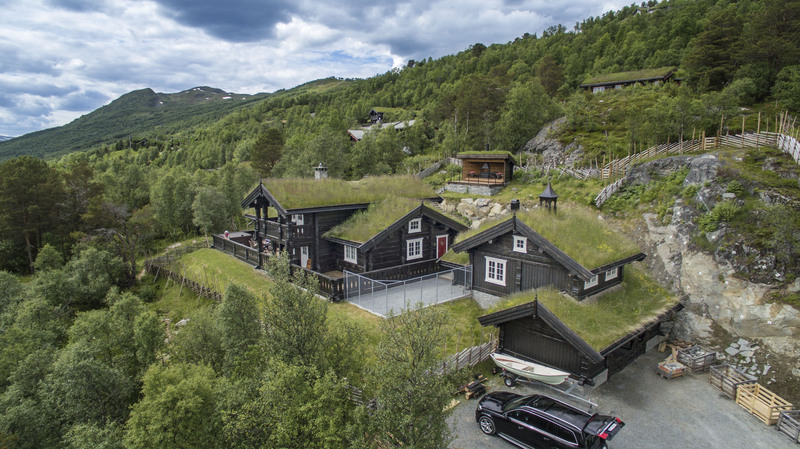 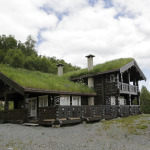 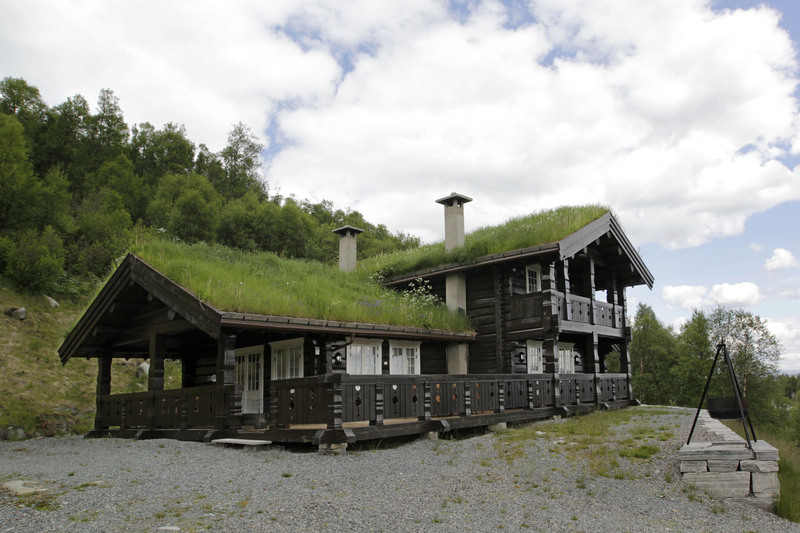 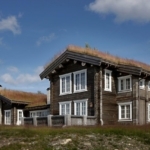 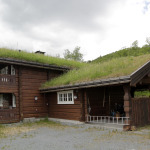 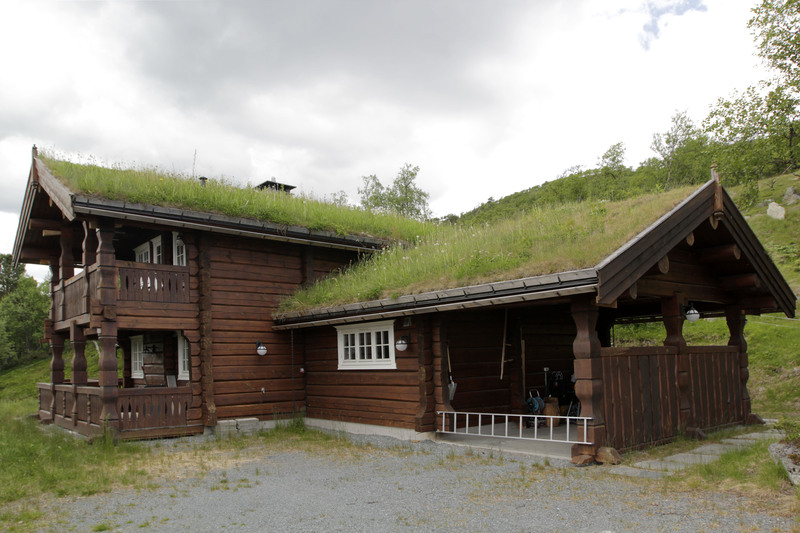 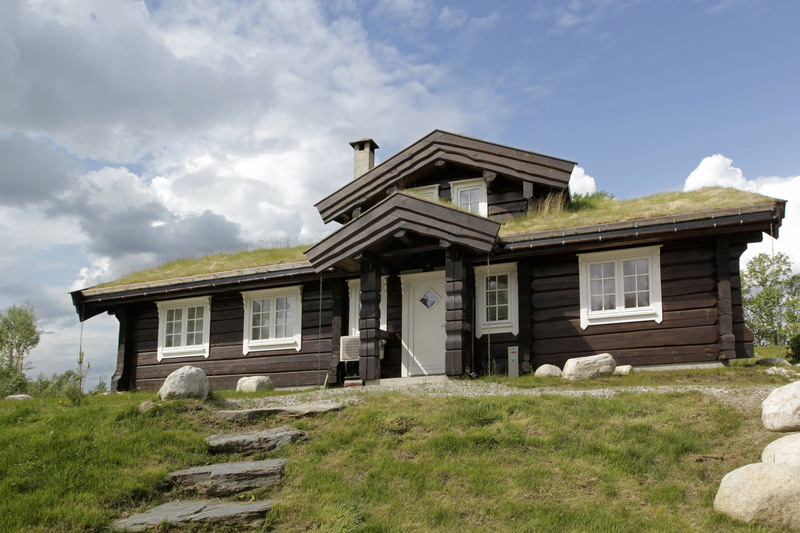 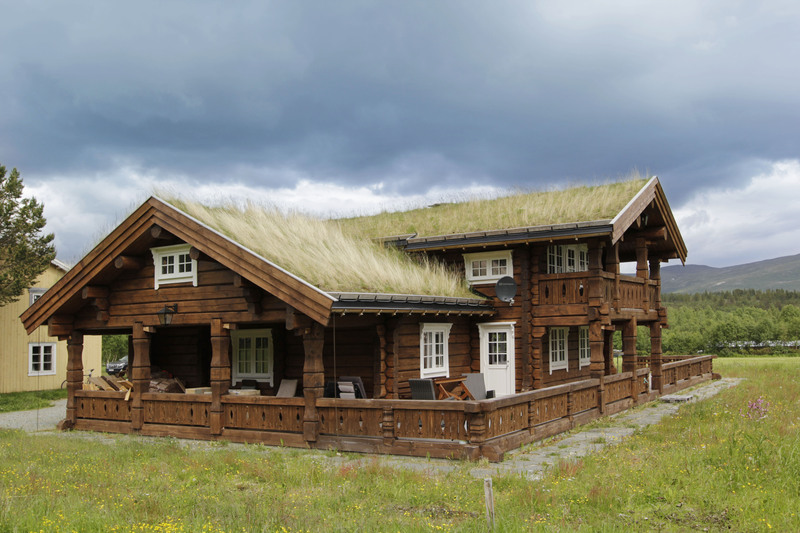 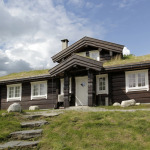 EstNor strictly follows log house requirements and rules effective in Norway when choosing materials and constructing a house. 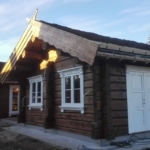 A log house can be ordered as a turn-key solution or as log-parts, which includes handcraft log walls, bulkhead beams and roof purlins, as well as figured stand posts. 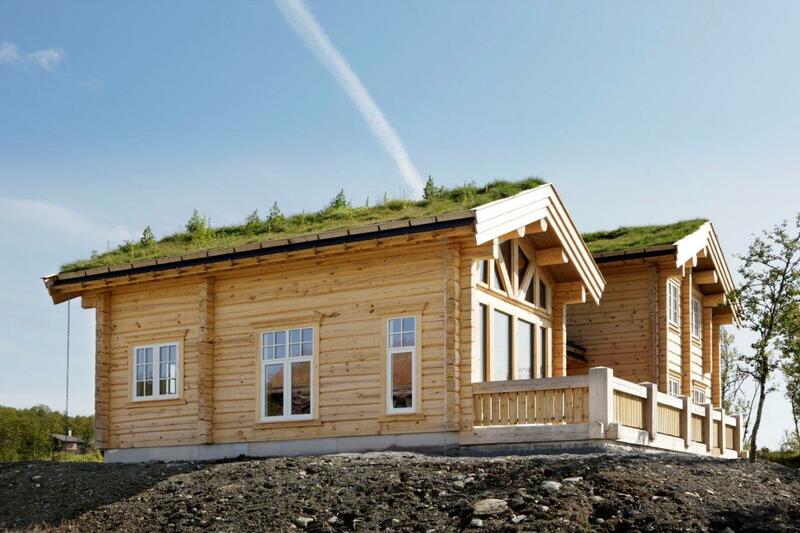 In case of a turn-key solution, the house is built in whole with a roof, terrace and bulkhead, windows and doors with laths and faces are to be installed. 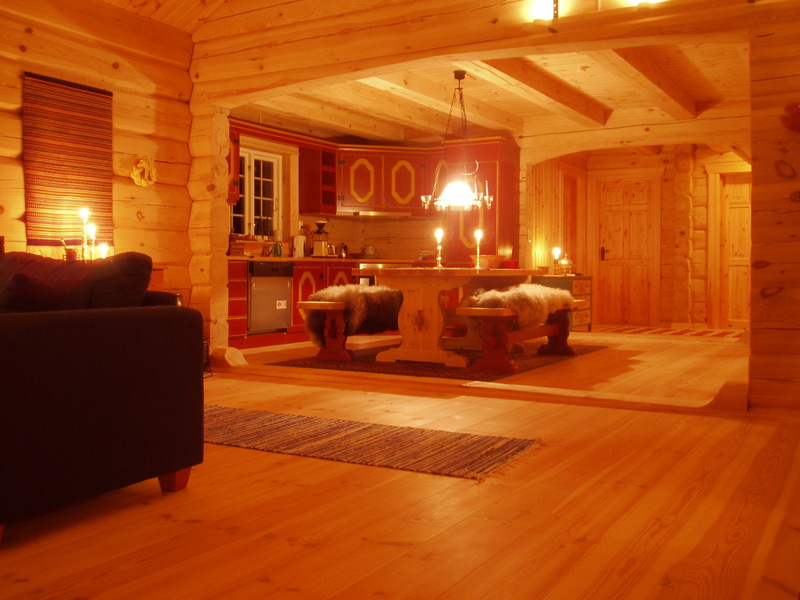 Additionally we install flooring made out of oak planks and floor laths. 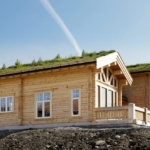 If necessary, interior walls made out of units covered with siding may be used. 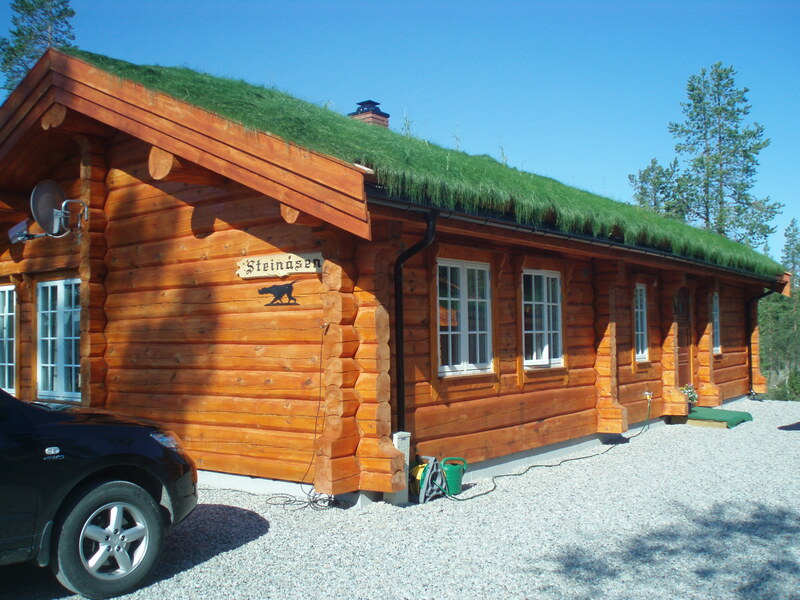 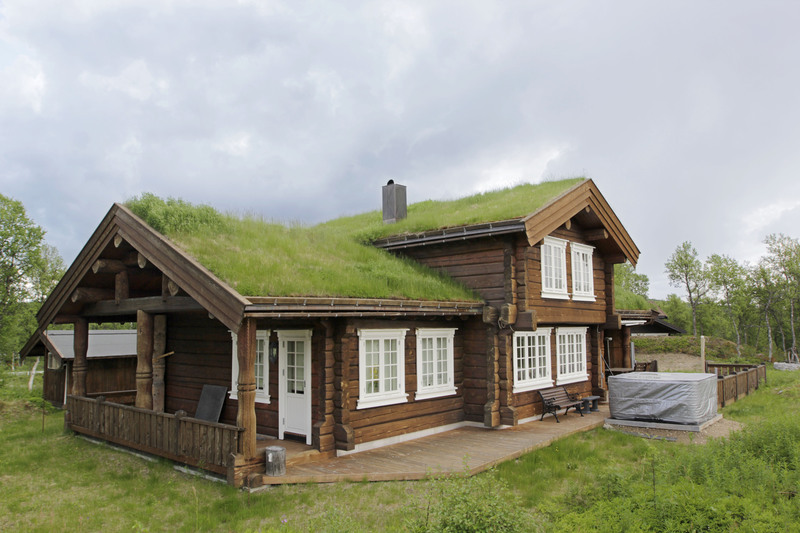 In case of type solutions we build log houses with a traditional turf roof, though if ordered, also with a stone or shingles roof. 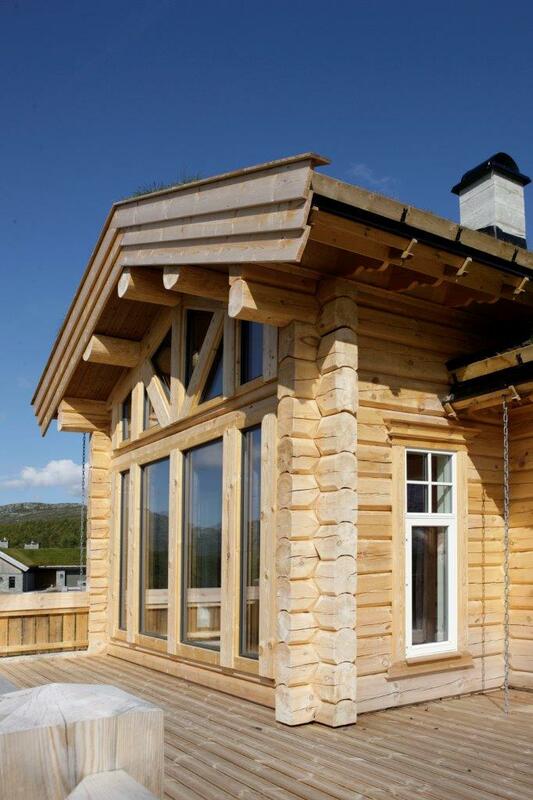 Exterior walls: pine logs (wall thickness 200mm). 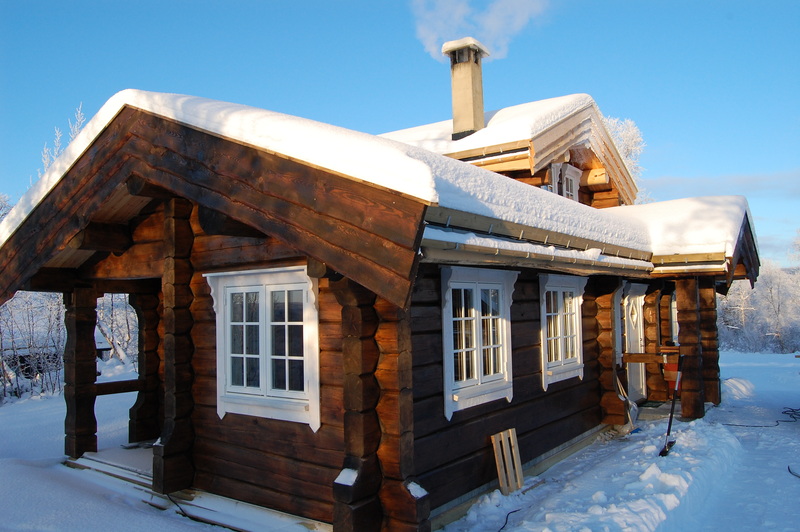 Interior walls: pine logs (wall thickness 200mm) or a 45x95mm carcass/14x146mm siding. 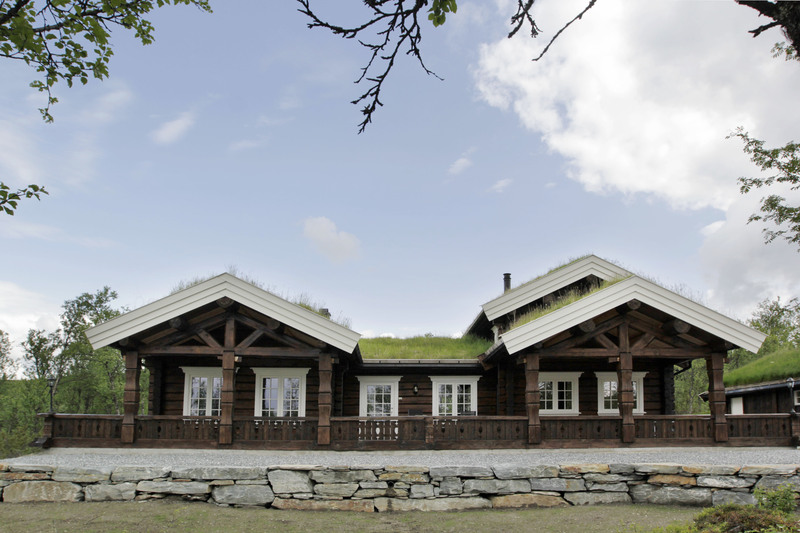 Ceilings: planking 19x145mm, planking 14x146mm. 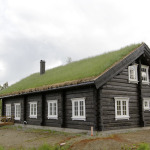 Roofing materials: stone, planking, bitumen multi cell, tin, SBS roofs. 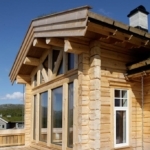 Windows: outwards opening (removable glazing bars) with two glasses, outwards opening windows with three glasses, downswing opened with three glasses, inwards opening windows with three glasses, inwards with thermo-stop, non-opening. 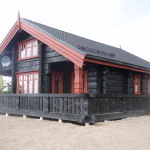 Exterior doors: traditional exterior doors, energy-saving exterior doors, shielded doors. 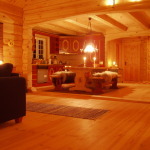 Interior doors: wooden shielded doors, MDF-painted doors (smooth and section doors), fire-barrier doors. 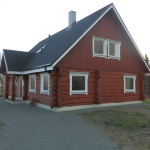 Flooring: oak planks 21x160mm, pine floor planks 33x195mm, pine floor planks 28x145mm, one-slivered oak parquet, three-slivered oak parquet, oak parquet 21x245mm. 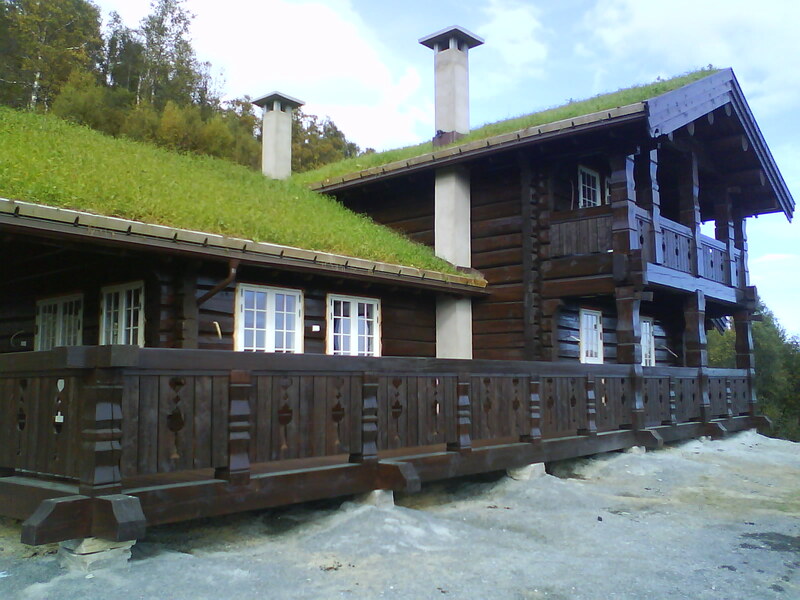 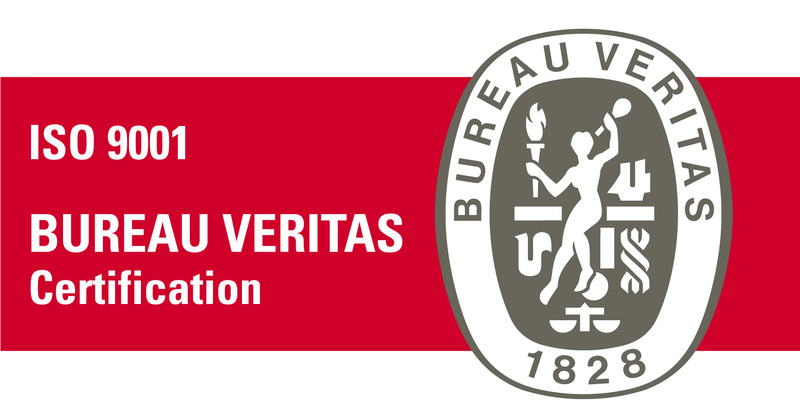 Bordering laths: different wood and mdf-laths. 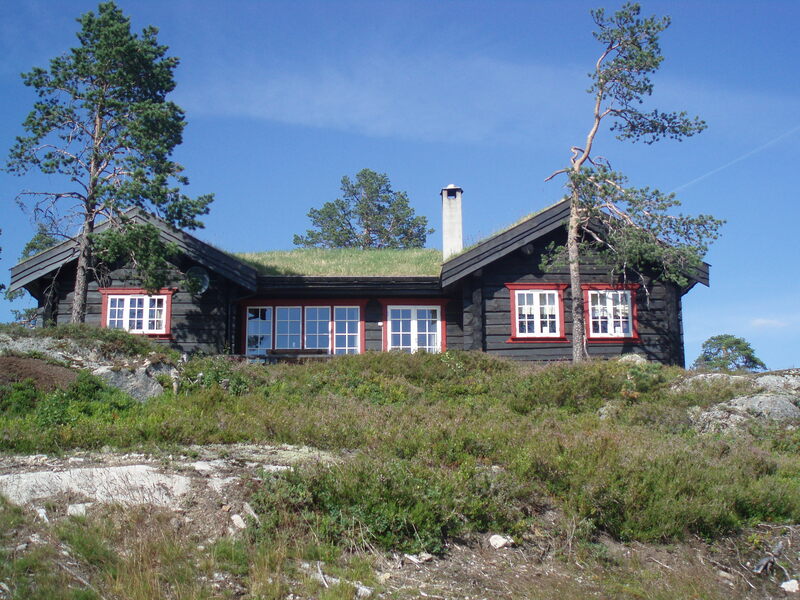 Stairs: open and closed steps (rises), pine and oak steps (varnish, stain) or unrefined, wood or glass borders. 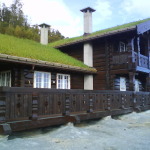 Terraces: 28x120mm or 28x145mm rifled terrace planks (brown or green saturation). 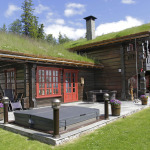 Chimneys: Schiedel´s module and metal chimneys.